Sherri Mariash is an herbalist based in Revelstoke, BC. She has been studying herbal medicine for nice years, focusing on fresh plants of our Pacific North West region. 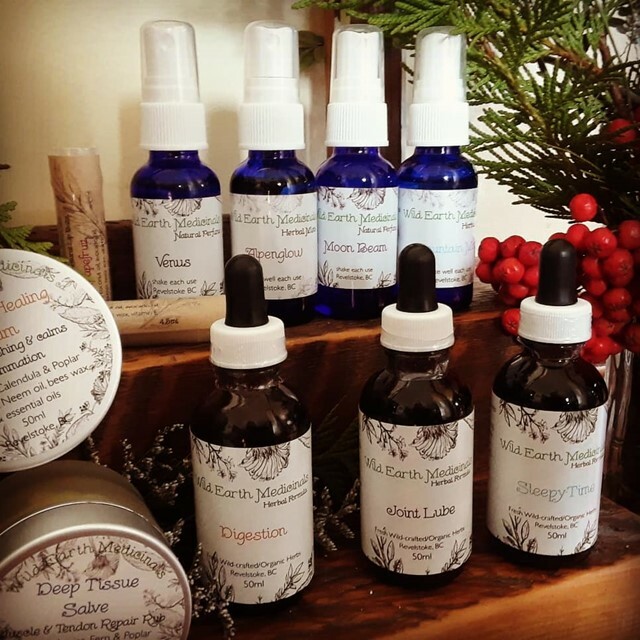 Her line of products includes medicinal tinctures and natural cosmetics which are all hand-made using ethically harvested or organically sourced plants. Weather your looking to support your health, beauty products or simply information about plants come visit the Wild Earth Medicinals table! Come visitWild Earth Medicinals at the 2019 Vernon Wellness Fair, March 2-3, 2019 (Sat. 10-5, Sun. 10-4) at the Vernon Recreation Centre.